Think you're a master texter? Are you ready to prove your texting supremacy?? 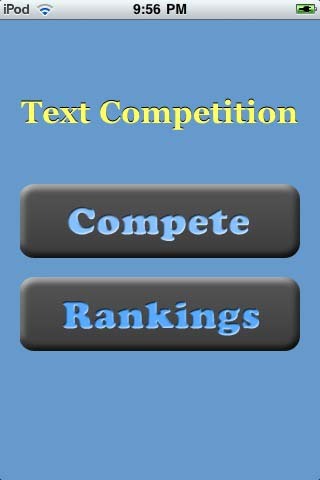 Speed through text challenges of varying difficulties and see if you have what it takes to be the top texter! Fully equipped with leaderboards that display the top ten text times based on difficulty.